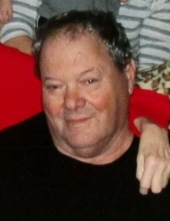 Ronald Ray Klick, 73, of Auxvasse passed away at his home, surround by family, on Saturday, March 30, 2019. He was born in Fulton on May 30, 1945, the son of the late Benjamin Klick and the late Erna B. (Hamilton) Klick. On September 23, 1966, Ronnie was united in marriage to Patsy (Hughes) Klick. She survives his passing. Ronnie started his career driving a truck for Roy Salmons. He then worked for C. T. Wolfmeier for several years. He retired from Merten’s Construction following more than 25 years of service. Ronnie loved his job and often took his children to work with him when they were younger. In his spare time, he loved to fish, play cards and dominos, and spend time with his family. Anyone who knew Ronnie knew he was quick with a joke and a smile. Ronnie is survived by Patsy, his wife of 52 years; children, Ronald Lee Klick (Peggy) of Auxvasse, Joseph Ray Klick of Fulton, and Loretta Lynn Klick of Fulton; brothers, Donald Klick of Calwood, John Klick (Terry), Gary Klick, and Jim Klick, all of Fulton; sisters, Arba Clayton, and Beverly Morgan, both of Fulton; grandchildren, Ashley Klick, Jared Klick, Megan Klick, Joseph Klick and Josh Klick; great-grandson, Easton Lee Page; and numerous nieces and nephews. In addition to his parents, Ronnie was preceded in death by daughter, Patricia Ann Klick. Funeral services will be held at 12:00 p.m. on Saturday, April 6, 2019 at Maupin Funeral Home in Fulton with Pastor Bruce Williamson officiating. Friends will be received from 10:00 a.m. until the time of service at the funeral home. To send flowers or a remembrance gift to the family of Ronald Ray Klick, please visit our Tribute Store. "Email Address" would like to share the life celebration of Ronald Ray Klick. Click on the "link" to go to share a favorite memory or leave a condolence message for the family.